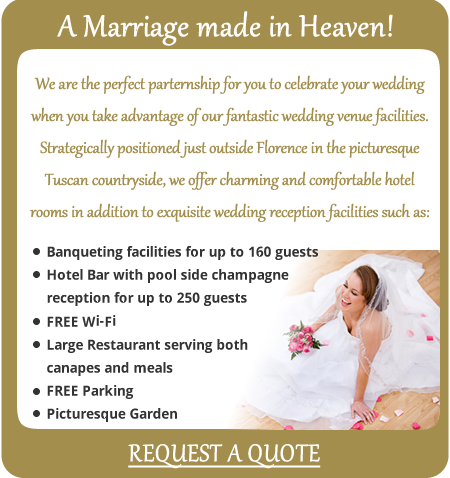 Hotel Villa Cesi Impruneta – Home – Affordable 4 star hotel close to Florence in Tuscany with wedding facilities. The Hotel Villa Cesi is an affordable 4 star hotel in Impruneta near Florence in the heart of Tuscany that boasts 28 comfortable rooms. 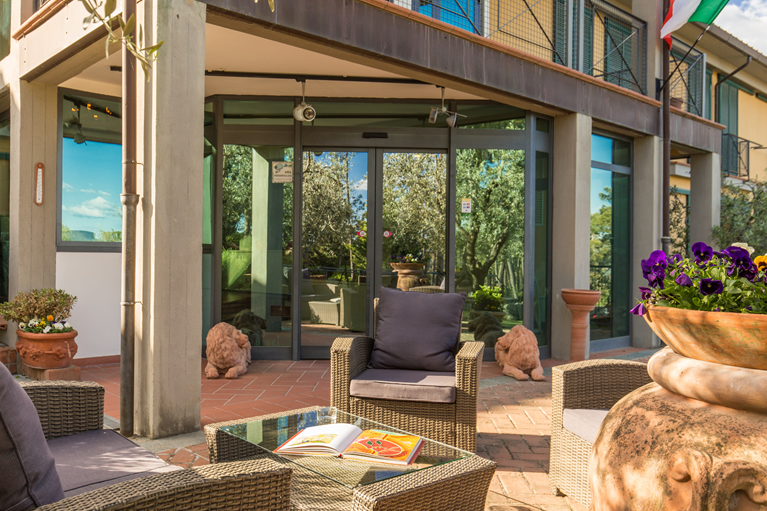 Offering free parking and relaxing facilities, the Hotel Vila Cesi is within easy driving distance of Florence, San Gimignano, Siena and Pisa. Nestled in the heart of the Chianti region that grows the grapes for perhaps the world’s most famous red wine, tourists flock from far and wine to soak up this rich and beautiful atmosphere. The hotel itself offers charming rooms enjoying free Wi-Fi, air conditioning and satellite TV, plus superb facilities including outdoor pool, hotel bar, restaurant, wedding facilities in addition to a host of other great services. 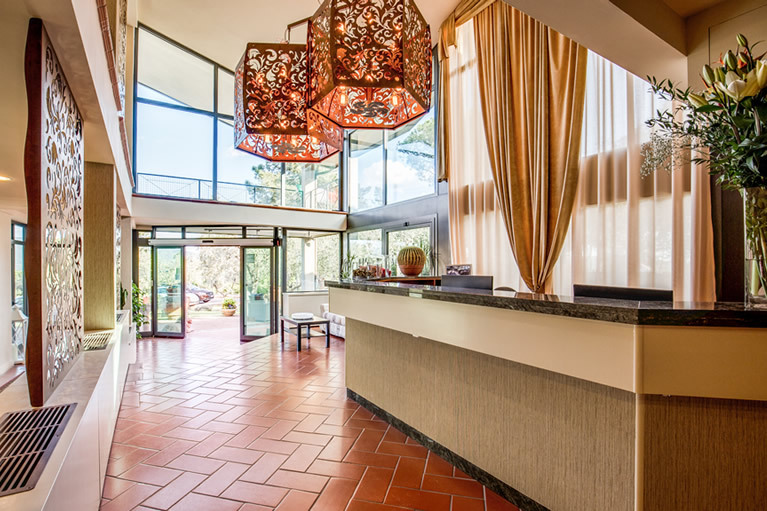 In addition to our relaxing rooms, the Hotel Villa Cesi offers an impressive array of services and facilities including wedding reception & banqueting facilities, outdoor swimming pool, delicious resta urant, hotel bar, 24 hour reception and free parking. Take a look at our Services page to learn more about our services and facilities. Learn more on our Rooms page or visit our Photo Gallery to see pictures of what we have to offer. 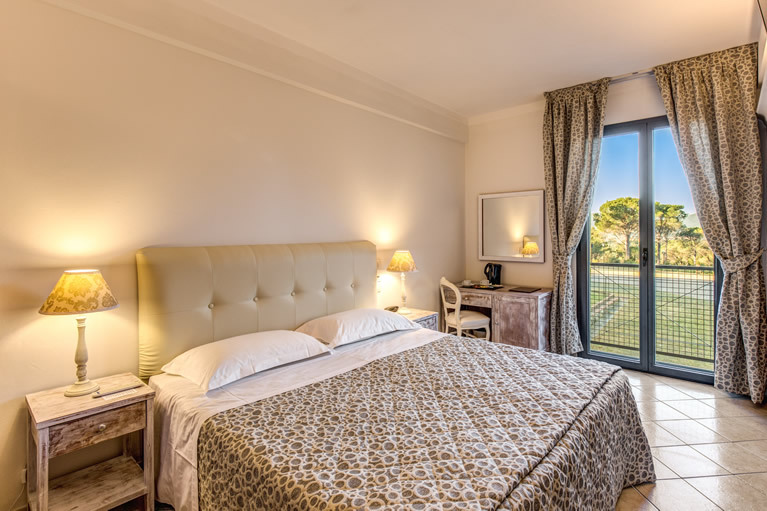 The Hotel Villa Cesi Impruneta is positioned in the heart of Tuscany within driving distance of Florence, Empoli, San Gimignano, Siena and Pisa. This area is famous for producing delicious varieties of Chianti wine, and connoisseurs can sample and delight in the richness of the local produce. The Hotel Villa Cesi is therefore the ideal place to relax in the natural landscape but with the option of visiting nearby cities and towns. Read our Location page to learn more about our relaxing location.